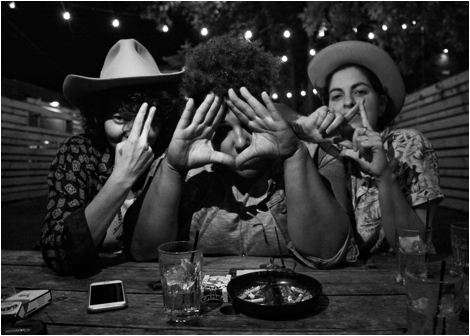 New trio Bermuda Triangle, comprised of Brittany Howard (of Alabama Shakes), Becca Mancari and Jesse Lafser, has set a series of southern shows for this Fall. The ladies will kick off the jaunt on Oct. 4 at Terminal West in Atlanta and play shows in Birmingham, Asheville, Knoxville, and Chapel Hill through Oct. 9. Special guests Thelma and the Sleaze will support on the first two dates and Music Band will open the other three shows. Tickets for the dates go on sale today at noon ET. For ticket information, visit facebook.com/BermudaTriangleBand. Bermuda Triangle’s debut song “Rosey,” which features Lafser on lead vocals, is now up for streaming here.